The American Dietetic Association (ADA) wants to create a monopoly on state nutritional licensure. This organization—which lists among its corporate sponsors soft drink giants Coca-Cola and PepsiCo, cereal manufacturers General Mills and Kellogg’s, candy maker Mars, and Unilever, the multinational corporation that owns many of the world’s consumer products brands in foods and beverages—already has a stranglehold on who can dispense nutritional counseling at the state level. The latest battle is in Michigan. So far, the Michigan Board of Dietetic and Nutrition has voted to accept the Commission on Dietetic Registration (CDR) as the sole certifying agency. The CDR is the ADA’s credentialing arm. We recently sent Michigan officals a letter asking them to recognize more than one certifying organization. We are requesting, at a minimum, the acceptance of reputable nutrition-based credentialing agencies such as the Certification Board for Nutrition Specialists (CBNS) or the American Clinical Board of Nutrition. Nutritionists are health practitioners with comprehensive knowledge of the impact nutrition has on the whole body. They focus on nutrition therapy for better health, metabolism, and biochemistry, and practice an integrative approach to health, concentrating on the prevention and treatment of chronic disease. 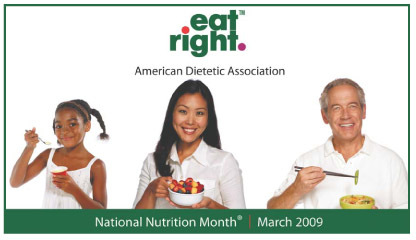 Dietitians’ training focuses on institutional diets and food service management—developing diets for hospital patients, school food service programs, and nursing homes, although they can also provide individualized counseling on diet and disease. Hospital food by law is controlled by dieticians, and almost everyone recognizes that the poor food in hospitals is a medical disgrace. As noted, that there can be an overlap in the type of work each profession practices. There are many different dietary and nutritional therapies to choose from, which is why freedom of consumer choice is absolutely essential in this field. By accepting only a single credentialing agency—one run by the dieticians, not nutritionists—the Michigan board is establishing a “one-size-fits-all” dietician standard for both nutritionists and dietitians. This removes all competition, essentially handing the ADA a monopoly over nutritional therapy. Licensing in this field should not be an excuse for an ADA monopoly. Michigan may not even realize that it is also barring the best-educated, most highly qualified professionals from providing nutritional therapy to Michigan residents. Other credentialing agencies’ standards are higher than those of the ADA. The CBNS, for example, requires an advanced degree in nutrition, 100 more hours of supervised experience than the ADA requires, and a certifying examination (even if the nutritionist has a doctoral degree). It is outrageous that consumers should be denied access to expert advice on nutrition from the most highly educated and well-respected professionals in the field. In order to adequately protect the profession of nutritional therapy, certifying organizations that specialize in nutrition (and not simply dietetics) must be recognized. And we believe the citizens of Michigan—indeed, the citizens of every state—have the right to choose their form of nutritional therapy from as large a pool of professionals as possible. Our website has a chart showing your state’s licensing status. ANH–USA advocates for access and choice—to ensure that consumers have unencumbered access to healthcare treatments, and that practitioners have the autonomy to practice in a manner that is truly in the best interest of their patients. Because of this, last week we sent a special alert to our members in Michigan asking them to contact the Michigan Board of Dietetic and Nutrition to express their concern before the board meeting (scheduled for today, Tuesday). We have been working on this issue for two years, and since our involvement, we have involved our members in active states, and we have prevented any monopolies. We’ve stopped bills from going through in Wisconsin and New Jersey. Michigan and Delaware had already passed legislation and are in the rules phase, but we were able to stall the rules process in Michigan and have gotten the CBNS included as a credentialing organization in Delaware, preventing a complete monopoly. Grassroots activism is our strength. We will keep you involved at the state level whenever and wherever you can make a difference.